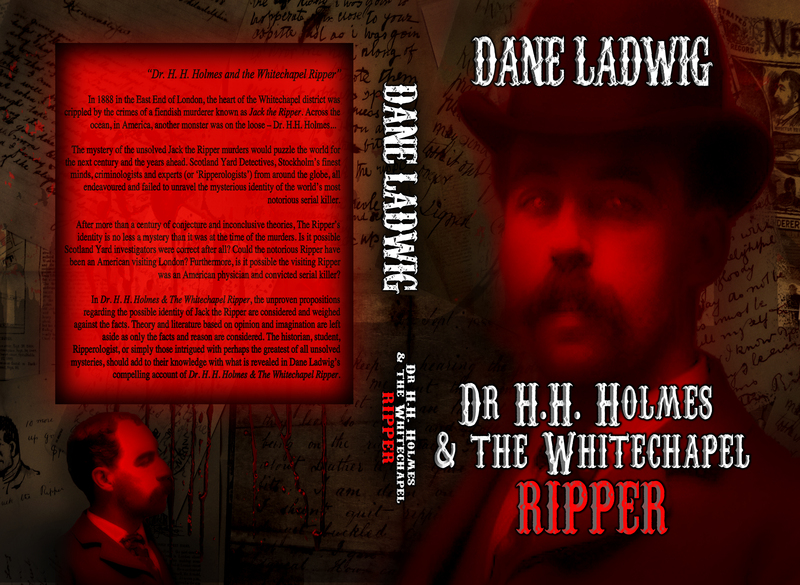 Announcing the presentation of the cover art for my upcoming release, Dr. H. H. Holmes and the Whitechapel Ripper. The graphic artwork was created by http://bloodsoakedgraphics.tumblr.com/ . In my book, I ask one thing of the reader… consider the possibilities! In London, we have a serial killer who is nothing more than an enigma – a faceless name. History has preserved documents, which not only indicate the Ripper is likely to be a person with medical knowledge – a skilled physician, and the Metropolitan Police and Scotland Yard propose the culprit is likely an American. Dr. H. H. Holmes, a con man, a skilled physician, and a frequent visitor of London, attempts to sell articulated skeletons to colleges and universities in the London area during the time of the murders. Is this coincidence? 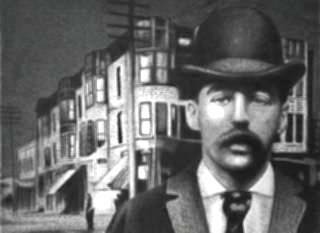 In Dr. H. H. Holmes and the Whitechapel Ripper, case file evidence will demonstrate, Dr. H. H. Holmes was the prime suspect who committed the Whitechapel crimes and has evaded suspicion (and the criminal justice system) for more than a century. Below is the write-up on the back cover of the book. It exemplifies and represents the very foundation and heart of Dr. H. H. Holmes and the Whitechapel Ripper. The mystery of the unsolved Jack the Ripper murders would puzzle the world for the next century and the years ahead. Scotland Yard Detectives, Stockholm’s finest minds, criminologists and experts (or “Ripperologists”) from around the globe, all endeavored and failed to unravel the mysterious identity of the world’s most notorious serial killer. After more than a century of conjecture and inconclusive theories, The Ripper’s identity is no less a mystery than it was at the time of the murders. Is it possible Scotland Yard investigators were correct after all? Could the notorious Ripper have been an American visiting London? Furthermore, is it possible the visiting Ripper was an American physician and a convicted serial killer? In Dr. H. H. Holmes and the Whitechapel Ripper, the unproven propositions regarding the possible identity of Jack the Ripper are considered and weighed against the facts. Theory and literature based on opinion and imagination are left aside as only the facts and reason are considered. The historian, student, Ripperologist, or simply those intrigued with perhaps the greatest of all unsolved mysteries, should add to their knowledge with what is revealed in this compelling account of Dr. H. H. Holmes and the Whitechapel Ripper. Just a few weeks ago, I published my first book titled, Piercing the Veils of Death. To my surprise, my book received a warm welcome and earned exceptional reviews. Debut weekend over 500 copies of the paperback and Kindle sold through Amazon.com. Barnes and Noble contacted me to ask permission to place Piercing the Veils of Death on its shelves and make it available on the electronic Nook version. I was elated! Yesterday, Amazon listed Piercing the Veils of Death in the category of New Releases in the UK as the #1 in Supernatural/Paranormal. Today, in the USA, Piercing the Veils of Death is listed at the #10 position following Anne Rice’s National Bestseller (in the #9 position) The Wolf Gift. As an Independent Author, a successful first release is a dream come true. I would have never dreamed of making the A-list with such prolific writers as Anne Rice, and never in a million years would I have dreamed it would be possible within two weeks of releasing a book. What is my secret? Hard work, determination and a devotion to presenting a unique idea! I spent nearly a year on the manuscript. I did not want to offer a fiction. Nor did I want to marry myself to a nonfiction. The idea of compiling a collection of unified experiences while still having the ability to present both a fictionalized anecdote along with including a compendium of quasi-memoirs and investigative research materials; all dealing with the human condition, that is what I was after – what turned me on! It’s not all been a waltz on cloud nine! As an Independent, I am required to market my work. This equates to approximately 20-30 additional hours weekly in addition to the 40-50 a week I devote to my next writing project, Dr. H. H. Holmes and the Whitechapel Ripper: An Historic Inquisition. Between marketing, mailing, radio, newspaper and media, and the occasional lecture and book signing/presentation, there is little time left for “me time”. Thus, scheduling wisely and remaining flexible is necessary. I would like to present my book, Piercing the Veils of Death. I set out in Piercing the Veils of Death to journey through several realms of the hereafter. Have you ever wondered what it would be like to pass through this life and have cognitive recall? To know where you are and who is in the room with you? Why are the Native American Indians “connected” to the Spirit realm? Do you know the difference between The City of the Dead in Cairo, Egypt and the City of the Dead in New Orleans, LA? Do our pets go to heaven? Have you ever witnessed a pet grieve at a gravesite? Are pets and animals connected to the great beyond? The fictional story in chapter one follows Stephen Allendale as he travels through the ever-frightening corridor of death. Clinging to his lifelong love, his wife Tracy, find out why Stephen and Tracy refuse to let go of one another’s love. Piercing the Veils of Death interviews an established college professor whom chooses to act as a channel for the deceased. There are numerous other interviews, such as with Chicago’s premier ghost tour company owner. Interviews with paranormal investigators and psychic/mediums will keep your attention as you find out facts about what makes people tick in the paranormal community and keeps them chasing after the most elusive of all beings — the spirits of the deceased. Much more than a book on the paranormal, Piercing the Veils of Death leaves the reader with a deeper understanding of the afterlife, the supernatural, superstitions and what may await in the great beyond. 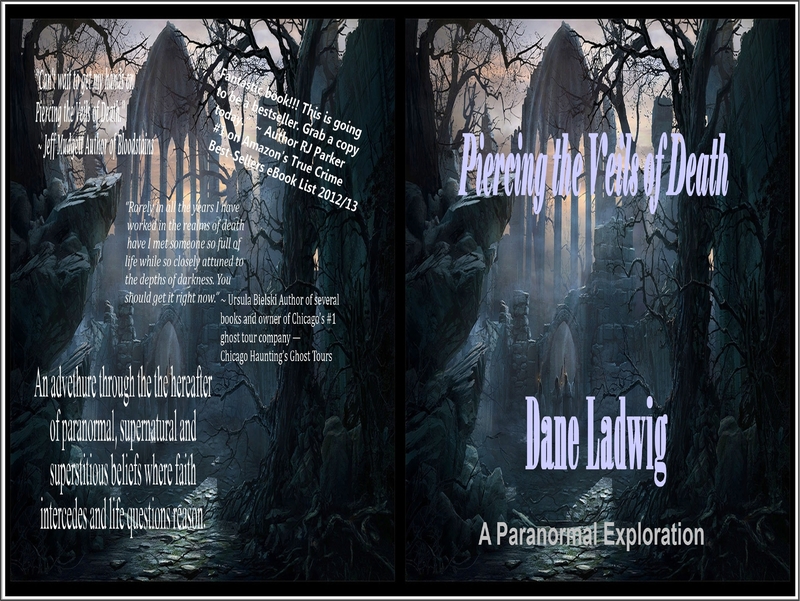 “Piercing the Veils of Death by Dane Ladwig is comprised of several stories as it pertains to the supernatural and metaphysical experiences that the author has encountered over the years. It is one thing to read about fictitious accounts of apparitional events, but entirely another to read true cases related to the hereafter. I was utterly captivated by the stories presented in this book and I found it fascinating as well as I felt it gave me reassurance that there is more after this life. This is not a ghost story book nor a religious book, but about everyday lives, miracles, the transformation from this life to the next, the knowledge that there is hope and everlasting life. “Piercing the Veils of Death is by far one of the best books I have ever read about the supernatural and matters involving death and the implications death have on the living. I expected your run-of-the-mill paranormal fantasy spookster tale of haunted houses and famous landmarks we are so accustomed to reading about, it was refreshing to read true-life chronicles and get a peak inside the minds of many paranormal investigators and celebrities. I simply loved the way the author opened his book with his very own introduction to the gruesome account of his first “education” of the dead in a funeral home, and then moved on in chapter one to a fictional story of a husband and wife who were so in love in life they couldn’t/wouldn’t let go even in death. It is superb! I am looking forward to telling every one of my friends about this book, then reading it again! I hope you purchase a copy of my book and enjoy the journey. Currently Amazon.com and Barnes and Noble have Piercing the Veils of Death: A Paranormal Exploration on sale for $7.00 (paperback) and $3.99 (Kindle and Nook). A portion of the proceeds of the sale are donated to Noonan’s Syndrome Research. Piercing the Veils of Death: A Paranormal Exploration is available free of charge to all enlisted military personnel who have given freely to protect my rights as an American! Premier Weekend: New Indie Author’s Book Sales Skyrocket! Over 500 copies sold opening weekend (1/25 – 1/27/2013). I had not expected what was to come. I researched what I should envision as a first book by an Indie Author. The numbers ranged between 100 copies and typically 250 copies sold to friends and family — most claimed that is what I should expect in the first month! My first published book, Piercing the Veils of Death:A Paranormal Exploration, now available in paperback and on Kindle eBook format on Amazon.com, has sailed past all sales predictions in its opening weekend. Is this attributed to the hard work and dedication of an authors relentless pursuit of success or is the reception a fluke? Perhaps the answer could be found in the reception and response of my peers. Piercing the Veils of Death: A Paranormal Exploration, is much more than I had ever imagined. It delves into the supernatural, the superstitious and the religious implications and quandaries, which we have struggled with for centuries. How do Native American Indians relate to the Spirit world? Do pets go to heaven? What is the difference between an “angry sprit” and a demon? These and many more questions are answered. There are three parts to Piercing the Veils of Death. The first is the Apologue, in this chapter follow Stephen Allendale as he takes us through a journey into the hereafter. Only his love for his life-long friend and wife Tracy can help Stephen accept the truth — his death. The second portion are several true accounts of apparitional visits and psychic interventions as related by a Native American Indian, a clairvoyant, and research by the author in such historical places as Salem, MA. Lexington, MA. and New Orleans, LA. Do you know the difference between The City of the Dead in Cairo, Egypt and The City of the Dead in New Orleans, LA? The interesting answers are in Piercing the Veils of Death. Want to read an excerpt or get a little more info on what the book is about, visit my website at http://www.daneladwig.com. The paperback and the electronic eBook Kindle format can be purchased at Amazon by clicking the image below! Nearly a year to the date from when I began research, my dream is realized. My book, Piercing the Veils of Death is now available in paperback and on Kindle eBook format on Amazon. Piercing the Veils of Death: A Paranormal Exploration is much more than I had ever imagined. It delves into the supernatural, the superstitious and the religious implications and quandaries, which we have struggled with for centuries. How do Native American Indians relate to the Spirit world? Do pets go to heaven? What is the difference between an “angry sprit” and a demon? These and many more questions are answered. There are three parts to Piercing the Veils of Death. The first is the Apologue, in this chapter follow Stephen Allendale as he takes us through a journey into the hereafter. Only his love for his life-long friend and wife Tracy, can help Stephen accept the truth. The second portion are several true accounts of apparitional visits and psychic interventions as related by a Native American Indian, a clairvoyant, and research by the author in such historical places as Salem, MA. Lexington, MA. and New Orleans, LA. Do you know the difference between The City of the Dead in Cairo, Egypt and The City of the Dead in New Orleans, LA? The answers are in Piercing the Veils of Death. In a manner of speaking, I am taking a leap of faith. 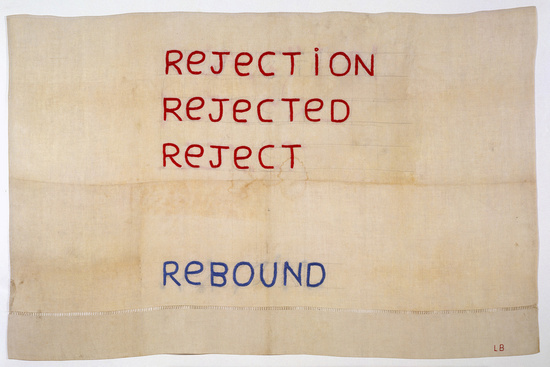 Despite having run into a roadblock on my current manuscript; the publisher and I are at an impasse, they wish for me to divide the project into two books and I feel I have constructed a single cohesive manuscript for the readers and not one which to line the coffers of the publisher or my own pockets, I have decided to begin working on my next project. In respects to my current manuscript, for those people I interviewed and the people awaiting the release of my book, do not fear, I will still pursue a viable publishing avenue, I have just adopted the attitude; I am sure in time, what will be — will be. You could say I have been working on my new project for 40+ years. As a teenager, I was obsessed with the Whitechapel murders of Jack the Ripper. I was one of those kids who fantasized about being “Sherlock Holmes” and busting the caped fiend. All my life I have studied every facet and nuance of the Ripper murders from the many erroneous theories to the bizarre and the seemingly feasible. 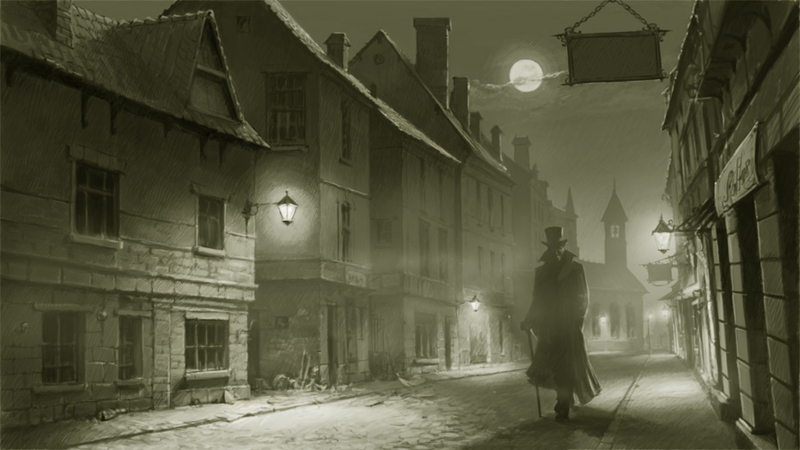 Jack the Ripper stalks the streets of London’s East End ~ the Whitechapel district. Sure, I know what you are thinking. Many people have written endless accounts of Ripper hype, what makes you so different? Well, for starters, I have invested a lifetime sifting through that muck you have grown tired of (truth be told, so have I). I have a solid grasp of the modus operandi the Ripper operated under. To further push the envelope, I am taking each “suspect”, past and present, and I am conducting an inductive analysis and then looking at each victim through the lens of the murderer(s). In addition, I will inspect the prospect of known serial killers at the time of the Ripper murders and compare notes, including modus operandi, motive, whether they could have stalked the streets of London during the slayings, and Scotland Yard case file reports. Could the Ripper have been a doctor, one who has become famous throughout history due to his own murderous rampage — a serial killer believed to have brought great shame upon the World’s Colombian Exposition Fair? Could the Ripper have been none other than a scorned wife of a respected surgeon? Did the monarchy hide evidence, which would have revealed the true identity of the Ripper? Could Dr. H. H . Holmes, Chicago’s diabolic serial killer, be behind the Jack the Ripper slayings? I plan to bring these questions into light and offer unequaled inexhaustible summaries to these age old quandaries, which have stifled America, England and the world for much too long. All too often writers offer opinionated propaganda to generate interest and sales. Frankly, if you are disinterested in the subject I figure you will not read my book, thus, I have an obligation to produce a book I would find interesting and one I would enjoy reading. I look forward to the journey and hope to serve you well as you anticipate the release of my new endeavor, and as well, the release of my current manuscript, I look forward to your much-appreciated interest. 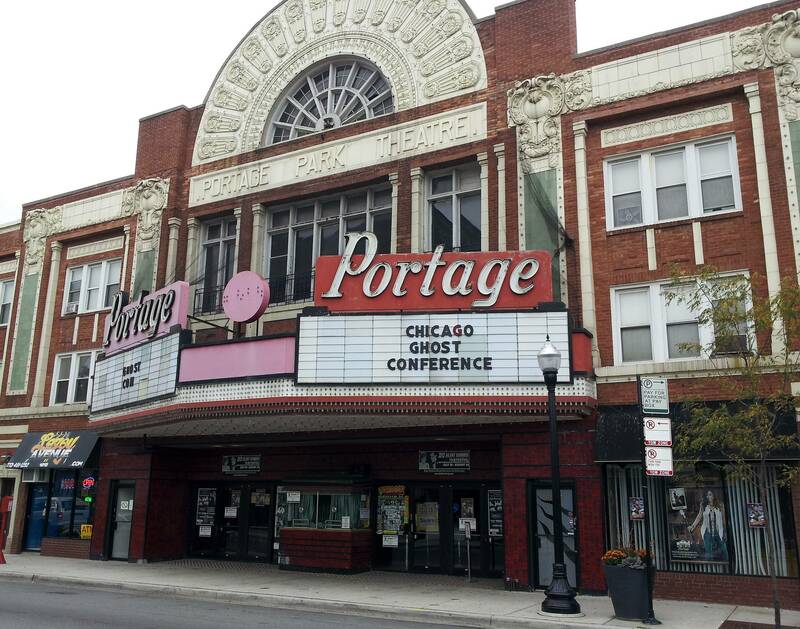 As I approached the entrance of the historic Portage Theater on Chicago’s north side, it was as if I were walking back in time. Back in the early ’80’s, I owned an apartment building in the Portage Park neighborhood and I would frequent the theater quite a lot. It has been many years since I have ventured back to the area and I was surprised to see the changes; new businesses replace the old “stores” I once shopped. I recalled the first movie I had taken in at “The Portage” as area residents referred to it, Apocalypse Now (1979 – United Artist). My brother, Frank, and I went to The Portage on opening day of the Francis Ford Copolla film and it was the first, and only, time my brother and I had ever taken in a movie together. This time walking into The Portage was much different. Back in 1979 it was elbows and wall to wall people scratching their way in the doors to get the perfect seating. Today, it was as if I had walked into a ghost town of the Wild West. Rumor is The Portage is haunted, but I have a difficult time believing The Portage would be a place anyone would care to hang around in the afterlife and I personally have no knowledge of any ghost or spirits tied to The Portage. 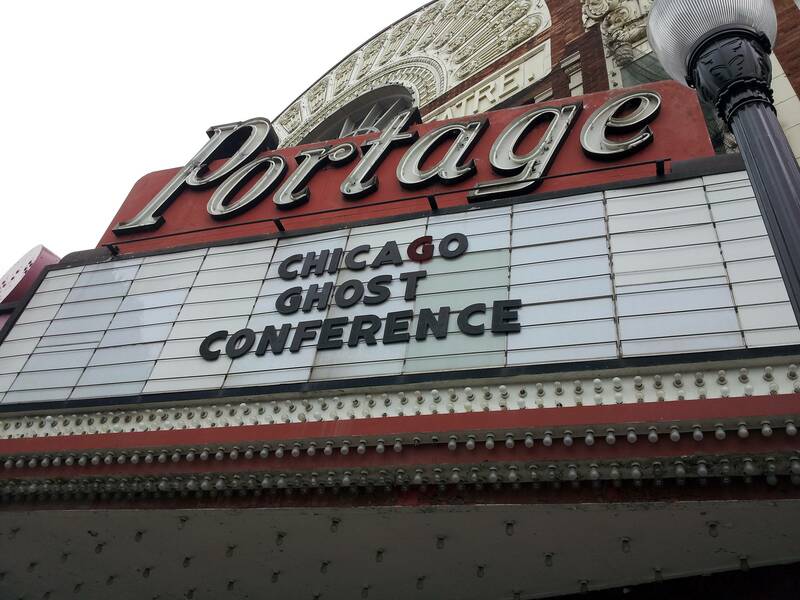 Perhaps I am tainted by my prior knowledge of The Portage and the neighborhood, however The Portage as a time-capsule is intriguing and it sets the perfect tone for an annual ghost conference. The latent aroma of popcorn spews from the chipping paint off the walls of the concession area. Entering the theater, the worn out carpet runners lining the isles leading to an out-dated stage directs your attention to the tattered and stained yellowed stucco walls. The rows of blue metal seats with thin padding, torn and badly stained, held impressions of once engaged moviegoers glued to the silver screen. Back out in the theaters entrance area, I could hear the bustle of eager paranormal patriarchs preparing for their inquiring visitors. Placing stickers on posters, tables with doodads, pictures and pamphlets, jewelry and candles, books and paraphernalia, all laid out just perfectly to grab the attention of the person passing their table. My objective: take in all I could and record the weekend’s events – I am a writer. My early arrival offered me the opportunity to greet some friends and meet new ones. Jeff Mudgett author of Bloodstains was there as was Chicago’s foremost ghost tour guide Ursula Bielski. Author, paranormal scientist and lecturer Dale Kaczmarek and I were excited to finally meet. In addition, I spent a few moments with Pete Crapia who is heading some of the most recognized work at Bachelor’s Grove Cemetery. As they were setting up shop for the weekend, there was a host of others I talked with and met. I do have to admit, event coordinator, Mr. Willy Adkins, appears to be bringing together the A-Team of guest speakers and a monumental event lineup. Personally, I am stoked about Saturday’s events; hearing Jeff Mudgett present evidence linking H. H. Holmes to Jack the Ripper at 5:30 pm, Ursula Bielski presenting The Ghost of Chicago at 6:50pm, and the Booth Brothers film The Haunted Boy (based on the secret diaries and the inspiration for the movie the Exorcist) Saturday at 8:00pm. 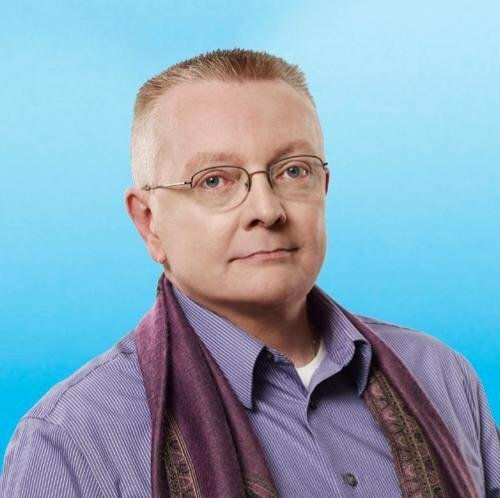 Chip Coffey and I have been going back and forth this past week regarding a recent blog post I wrote (https://daneladwig.wordpress.com/2012/09/29/chip-coffey-psychics-the-paranormal-and-sensationalism-sales/) , which Chip felt was “harsh and judgmental”. There are a number of issues I had addressed I felt were a bit out of line in Chip’s list of priorities, beginning with the costs involved in attending his events. I am not sure these have been resolved, however Mr. Coffey, a nationally acclaimed celebrity, did take time out of his busy schedule to try to set the record straight and for that I give him kudos. In our final correspondence to one another, two things became apparent to me; one, I did not know all there was to know about Chip Coffey when I posted my original blog article, and the other is, as a writer I should have known all I possibly could have before placing pen to paper (or fingers to keyboard). Don’t get me wrong, this is not saying I am changing my initial perspective on the matter, it is merely admitting I could have been better informed and prepared had I dug a little more into the man’s history and I would have had a better grasp of who Chip Coffey was before I began a dialogue with him. The information was at my fingertips – the internet. Below is the final correspondence Chip and I shared. I agree with Chip, at this point in time, there is no reason to perpetuate this any further. I spoke my mind and Chip responded. A few people replied, mostly adversely, leading me to the idea I need to tighten the screws on my blog site regarding the allowance of acceptable replies and what is considered censorship. I shall ponder on those ideas for a while. Thanks Chip, and thanks to those who responded to the blog posts. It is not my intention to create an ongoing dialogue between us, but I do feel compelled to comment on a few points that you made in response to my original post. You state: “The ‘harsh and judgmental’ opinion I have, shared by many throughout society, stems from a blemished point of view of people in your profession who have taken advantage of people for centuries.” As we both know, there are both good and bad practitioners in every profession. Good lawyers, bad lawyers. Good mechanics, bad mechanics. Good bloggers, bad bloggers. Good cops, bad cops. Those who lack skills and ethics tend to sully the good reputations of those who are skilled and ethical. Guilt by association. A few bad apples can spoil the whole bunch. Stereotypes. You question the fees that I charge for my services. I agree, my fees are not inexpensive. They are, however, very similar to fees charged by others of equal renown and, in some cases, far less expensive than fees charged for readings by other widely known psychics and mediums. Regarding the costs for admission to my Coffey Talk events and the differences between the two prices that you quoted: the higher price includes not only a *signed* copy of my book, but participation in the investigation/spirit contact portion of my program, as well. You asked: “Are you donating to show your gratitude to those who escalated you to the status you now enjoy? Your time? Services? Money?” Yes, in fact, I do, quite often, “pay it forward.” I volunteer with hospice and animal rescue organizations. (I have donated a considerable amount of money to save the lives of numerous animals who were either on death row or in need of urgent medical care.) I participate in fund raising events, pro bono, for various charities. I have paid the rent or mortgages of several friends who were running the risk of being homeless. I employ several individuals as sub-contractors to help me with my business and the income that they earn helps to support their families. I appreciate the generous offer you made for me to appear on your radio show. Perhaps, at some point in the future, I will take you up on that offer. Thanks for your considerate responses. 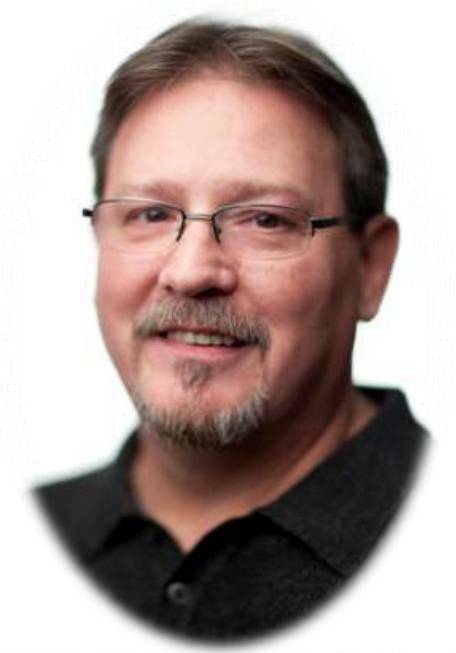 Of your devotion to “paying it forward” volunteering your time at hospice and animal rescue organizations; it is apparent there is a side of Chip Coffey, few are unacquainted with. Sir, you have an open invitation on View From My Loft radio. Again, thank you for your correspondence. The below correspondence between Paranormal psychic/medium Chip Coffey and myself was in response to an article I had posted on 9/29/2012 titled Chip Coffey: Psychics, the Paranormal, and Sensational(ism) Sales! You begin your blog with the following statement: “Don’t take this as a bash against Chip Coffey the man. I have never met Mr. Coffey and I do not know him.” And from that point forward, bashing me and my work is precisely what you do. I am sure you assert that you are just “expressing your opinions” and you have every right to do so. I, however, assert that your blog was an overly critical personal and professional stab at someone you admittedly have never met, namely me. The blog is very harsh and judgmental. You state that “those who dedicate themselves to investigating the hereafter get a bad name from those who use the paranormal field for their financial gain.” May I ask if YOU are someone who does not require being paid for the work that you do? Will the book that you are currently working on, “which delves into the human condition as it relates to the afterlife,” be available to the public at no charge? And will the work that you do “with celebrated author Jeff Mudgett on an upcoming television broadcast(s) for PBS, the History Channel, Syfy, and the Discovery Channel” be done pro bono? I feel certain that you see the point that I am making. Most people need to earn an income. As a professional, I am most assuredly paid for the work that I do. I enjoy living indoors and eating daily, so I have been blessed with the God given abilities to do the work that I love AND support my financial needs, which, by the way, are NOT extravagant. I very much look forward to once again visiting Chicago later this month and seeing my supporters/fans who will be attending my event. I would like to first thank you for taking time out of your busy schedule to read my blog and then to send me a letter regarding the contents. You prove to be respectful and considerate, and sir, I will extend you the same courtesy. It is clear, you view my blog article as a direct attack against you personally and for that I would like to say, sir, you are guilty by association. The “harsh and judgmental” opinion I have, shared by many throughout society, stems from a blemished point of view from people in your profession who have taken advantage of people for centuries. As I have never met you, there is no way for me to determine the validity of your “talents”, for all I know you may have a direct connection to the afterlife. My contention is; when people charge exuberant fees for seminars and lectures they alienate the common person. You seem to feel, per your letter, I expect you to “work for free”. Mr. Coffey, that is absurd. I agree with you, every human must provide a home for themselves and eat. When a psychic/medium charges $100.00 for a half hour (a common fee, one quoted when I inquired on a recent trip to New Orleans) to “read” an individual, I look at the numbers and I shake in my boots. That happens to be more than my union electrician, educated dentist, my doctor or even my surgeon charges. How can a struggling single mom, who may have just lost a child to war who would like the benefit of a psychics assistance, afford these services. She cannot! Furthermore, a famous psychic, such as yourself, who talks of clients who have “availed themselves of [your] ‘genuine’ services” should be giving back to the people. To answer your question and address the previous paragraph, as an author, yes, I will be charging for my work. However, when I looked into your Chicago visit to the Congress Plaza Hotel, I realized the difference between the $106.43 package you offer and the $168.74 package is the ticket holder will receive a copy of your book, Growing up Psychic, which sells on Amazon for $10.00. I am wondering how you can justify the difference of $62.31 in the price for your book when purchased at one of your events? I hope my books are affordable, somewhere in the ballpark between $15.00 – $20.00. One thing I realize is; I am not in it for the money, I write because I have a passion for writing! In addition, a friend turned me on to a great idea, which I fully intend to employ. To all active service members of any branch of military, to all civil servants, who send me a request and their information, at my expense I pledge to issue a free copy of any of my works. It is called gratitude for those who serve and protect my freedom to enjoy the things in life I love most and paying it forward! Additionally, each book I write I shall donate a portion of the proceeds to a charitable cause. The book I currently have coming out I’m donating the charitable proceeds to: The Noonan Syndrome Support Group, Inc. (a 501c3, nonprofit) P O Box 145, Upperco, MD 21155. Mr. Coffey, are you donating to show your gratitude to charitable causes or to those who escalated you to the status you now enjoy? Your time? Services? Money? You were gracious enough to write me, thank you. Are you courageous enough to stand united and give? I invite you to join me on my local radio broadcast View From My Loft. We have a local following of 80,000 listeners, and I offer you the opportunity to address your audience. View From My Loft is a respectful, family oriented show, which features authors and writers. View From My Loft would be the forum you could show the world (well begin to show the world through Chicago’s audience), how Chip Coffey gives back. Offer a few lucky listeners free admission, a free book, or a reading. Chip, I refuse to pay the prices the venue is charging, however, offer me the opportunity to be proven wrong and I will publically restate my position and rewrite a positive opinion regarding Chip Coffey and his “genuine” psychic services. On View From My Loft integrity is the number one priority. I vow to expose wrongdoing and also to elevate those ideals and people who are deserving. When an individual responds, they have the right to be heard and not censured, no matter if I agree or disagree – it’s a free world. Thank you Mr. Coffey and I do hope you consider my offer! 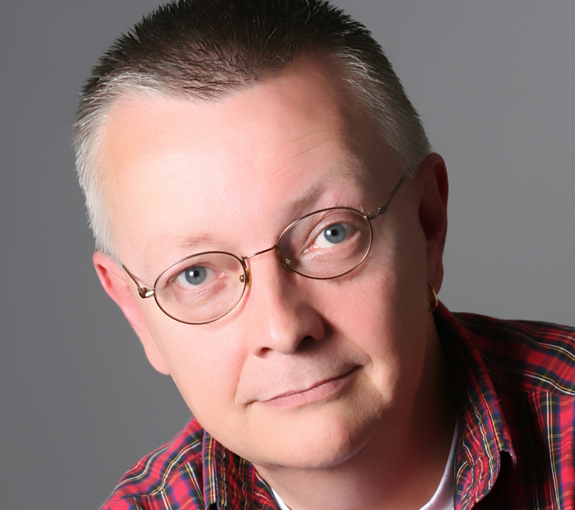 Chip Coffey: Psychics, the Paranormal and Sensational(ism) Sales! Don’t take this as a bash against Chip Coffey the man. I have never met Mr. Coffey and I do not know him. This article speaks to several issues; namely, psychics, mediums, the paranormal and over-inflated self-perception. Recently, I read that Chip Coffey is coming to my home town of Chicago to conduct “Coffey Talk With Chip Coffey”, a “Chip Coffey Tour”, to be held at one of the more prominent (and expensive) hotels in downtown Chicago, the Congress Plaza Hotel. I realize Chip has been featured on A&E’s Psychic Kids: Children of the Paranormal and Paranormal State, but as I continued through the article, my eyes bugged out when I got to the inflated prices and then when I read the small print, to tell the truth, it made me wonder who the heck Chip Coffey thought he really was? Does Mr. Coffey really have such an over-inflated view of himself? However, when you read the fine print, the “disclaimer”, you are informed; “not every attendee will receive a reading”, the “paranormal investigation” is no investigation, but merely a “sit down event” and “no audio, video, or recording devices are allowed”. And to further matters the ad continues to inform readers that Chip Coffey cannot “forecast, diagnose, or provide information… with [any amount of] certainty.” I thought these were all qualities a psychic was suppose to possess? Isn’t that what you’re promoting? Mr. Coffey is so assured of his results he offers, “no guarantees or assurances of any kind” and states he, “will not be held accountable for interpretations”. Really? I am an author and I am held accountable for each and every word I write. If someone purchases my book and has good reason to complain, without question I have committed myself to refund their purchase, it’s called good business ethics my friends. Just to clarify, I have interviewed and conducted investigations with dozens upon dozens of psychics, mediums, channelers, sensitive’s, and so-called conduits of the spiritual realm. I can say that my experience is I have come across one individual who told me things she had no way of knowing, unless she was “connected”. I say she is authentic, the real deal. Perhaps the others were convinced of their abilities, but for whatever reasons they did not convince me. When a psychic says he or she has had a conversation with the deceased I must question the validity, as there is no absolute way to prove it is truth or if it is deception. Furthermore, spitting out a slew of words they read in a tabloid or book doesn’t qualify them anymore than reading a car magazine qualifies my next door neighbor as an authority on automobile mechanics. If a psychic has psychic ability, why is the rate of unsolved murder crimes so high across the nation? Why are the psychics not talking to the deceased victims if they possess the ability to speak with the dead? They would be assisting the victim and be saving the public millions of dollars in revenue spent on missing persons cases and open case files. I’ll tell you why. As you will see below, there is a great deal of money to be made by professing the unknown to be fact and having a naive audience believe in your self-professed abilities and ostensible psychic potential. I think it is despicable when the public (and the person themselves) elevate an individual to the degree he or she is selective and alienates the less fortunate or the people who have to struggle to make ends meet. The tickets for this event are outrageous. Sure you can get in the door for the $49.00 ticket price and a $3.69 fee for a total of $52.69 (plus the credit card interest fee as you must pay by credit card), but what does the general entry level get you? Not very much! Back row seating – nosebleeds. Chip will “interact with the audience telling stories” and he will conduct “random psychic readings.” Who knows, will you be selected? Perhaps Chip knows! So, for sake of naivety, spend nearly $60.00 and you get to hear someone talk about his childhood romps. I might be in the wrong business after all! For $99.00 and a processing fee of $6.44, grand total of $106.43 (plus those nasty credit cards interest fees), you’ll be privy not only to the aforementioned childhood stories, but in addition, middle-section seating – no nosebleeds, just elbows and knee-bumps, a VIP laminate (WOW! ), and a “meet and greet” where you get to shake Chip Coffey’s hand (from afar). Now if that doesn’t do it for you, we have to all inclusive, well not really because we haven’t factored in travel expenses and a hotel room at the Congress Plaza Hotel, did I happen to mention it is one of the most expensive Hotels in downtown Chicago, “Super VIP” gives you “General” yes that’s correct “General seating” and in addition to the aforementioned, you are entitled to a signed copy of Chip Coffey’s new book, all for the not-too pricey cost (sarcasm) of $159.00 plus $9.74 processing fee, for a total of $168.74 plus the credit card interest we mentioned. $170.00 in childhood stories, maybe a reading, but most likely not, no food, a sit-down “paranormal investigation” at a table of how many? Five, six, in a room of three hundred, perhaps a thousand? Chip don’t forget to bring the spirits (both kinds please)! What boils my apples is paranormal investigation is not about capitalizing on the sensationalism of Hollywood or a certain cable channels ratings. It is scientific and it is serious, and those who dedicate themselves to investigating the hereafter get a bad name from those who use the paranormal field for their financial gain. While writing a book on the paranormal, throughout my research, I have know both kinds of people in the paranormal field; those that are genuine and those who merely see individuals searching for answers to age old questions as weak and vulnerable and unfortunately, in many ways as we search for the answers we are at a disadvantage. However, one thing I have come to realize is whether it is the paranormal or any other walk of life, the human condition allows people to prey on those who are less informed or unwilling to accept the facts for whatever their personal reasons. I feel a certain amount of obligation to expose injustice and wrongdoing. In doing so, I only hope it provides my readers with a certain amount of comfort in knowing there are people who care that others are out there exposing those who are attempting to take advantage of them. Please understand, I do know there are authentic psychics with corporeal abilities. I do not believe a legitimate psychic, medium, channeler, or sensitive would consider capitalizing monetarily on an individual, or a situation, if he or she truly is genuine. This is an age of inquisitiveness. Our doubts lead to a “must know” attitude of having to figuring everything out and to having all the answers. In and of itself, it is not a bad idea especially as it relates to doctors, researchers, and scientist. But when the eager and inexperienced paranormal investigator, or ghost hunter, decides to go off on his or her own and make the rules, well, there are severe consequences involved. Recently I read an article a friend had shared (below). It seems even with permission, and proper credentials, the most trustworthy of people — even police officer’s — can be arrested and face imprisonment for not following the rules while conducting an innocent act such as paranormal investigating. Diane Briscoe, an off duty police officer, and her two sons were arrested at gunpoint while conducting a paranormal investigation. She had the property owner’s verbal permission, and she also had a key to the property. However, she was missing one very important thing — a signed (dated) authorization letter. This article brought back memories of the most recent investigation I had been a part of. I was there strictly in a literary sense — I was documenting the events. We were at a Federal building and it was daytime. The business was operational. We were not allowed to enter the premises, however we did conduct an investigation of the grounds. Now, I’m no angel. I have my share of “colorful” moments. However, I practice good moral character when at all possible. I was the killjoy and the conscience of the group. I warned against tampering with the door as it would constitute a Federal offense, and I did not want to be an accomplice in such a crime, nor did I wish to harm any possible future prospects of investigating at this location. Here is a bit of advice, when desiring to conduct an investigation at a particular location make sure you are respectful of both the living and the deceased. In addition, if you really desire to investigate a location, do your homework. Know all you can about a place before asking permission, check history, public records, and if possible talk to previous investigators about their experiences, the internet is a veritable cornucopia of information at your fingertips. 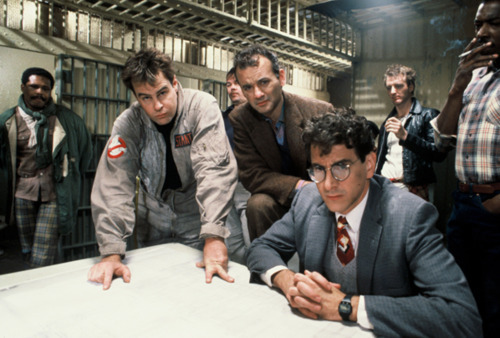 When asking permission, don’t ask a maid, groundskeeper or maintenance worker, as they do not have the authority to permit an investigative team. Merely ask them for the property managers phone number or address. Lastly, if and or when you are given permission, inform the authorities of the date and time you will be conducting the investigation. A quick stop at the local police station with a copy of the signed dated letter of permission will save you the embarrassment of an arrest, the bail money to get out of jail, and the risk of losing your investigation equipment as the arresting officers will not allow you time to “pack up” when you are apprehended and arrested for trespassing. One act of caution might prove to go a very long distance while capturing ground breaking scientific evidence on your next paranormal adventure! Dane Ladwig is a native of Chicago, Illinois. Dane's book, "Piercing the Veils of Death," received critical acclaim from the General Assembly. Dane is a graduate of Moody Bible Institute with a degree in Theology, and a graduate of Elmhurst College with degrees in English and Philosophy. Dane has also released, "The First Annual Serial Killers Anthology," which was a collaborative effort with some of the world's leading true crime authors. Also, his newest release, "Dr. H. H. Holmes and The Whitechapel Ripper," has been met with superior results. Dane has been featured in the Chicago Tribune, in Shaw Media, and has been a guest featured speaker on several radio broadcasts.